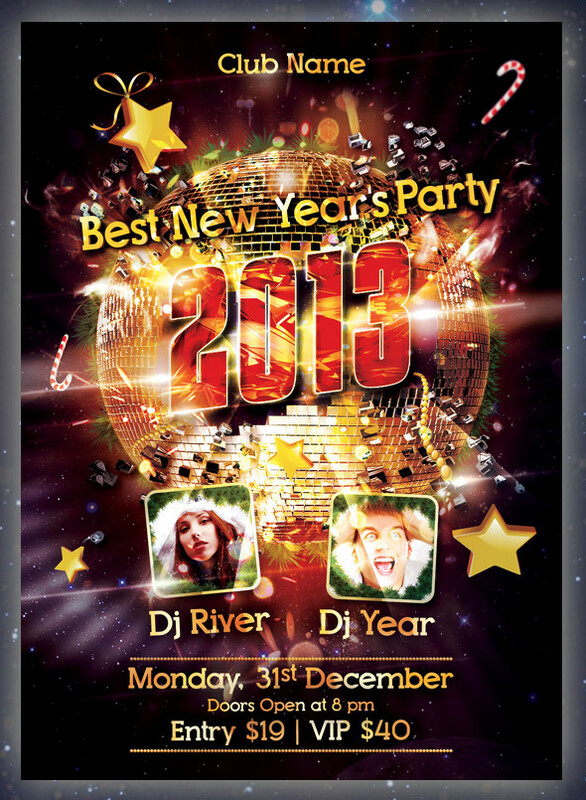 New Year Party Flyer (psd) The file is 8.3×5.8 inches + 0.12 in bleeds, A5, CMYK with 300DPI. The PSD files are very well organised and layers named appropriately. The links of free fonts used in the design are in the readme file.